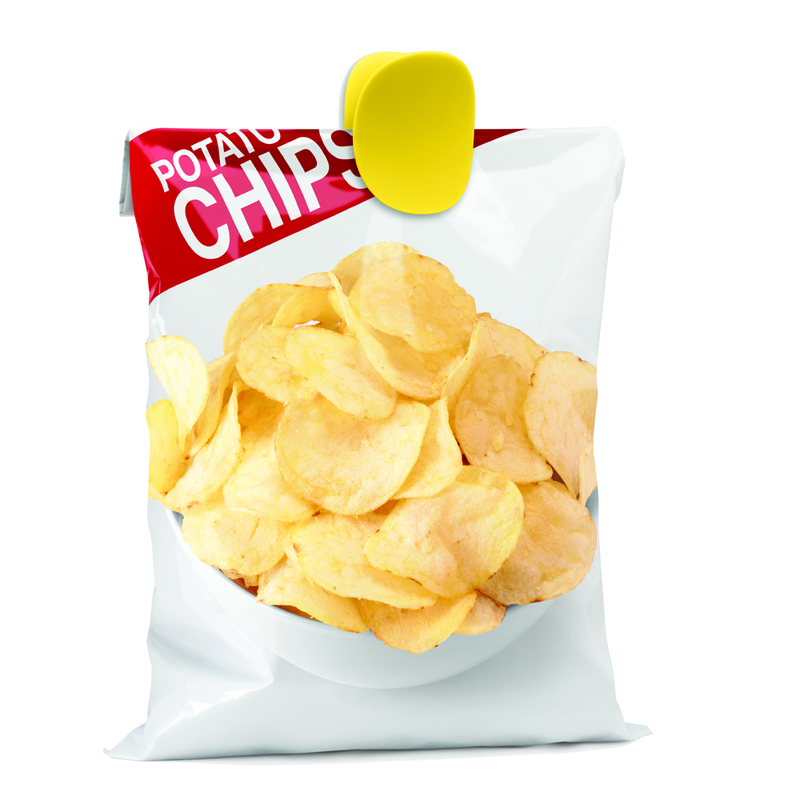 Clips 4 Chips are a disarmingly simple idea invented by Dutch design duo Chris Koens and Ramon Middelkoop – a quick-to-use intuitive bag clip shaped like two chips or crisps. 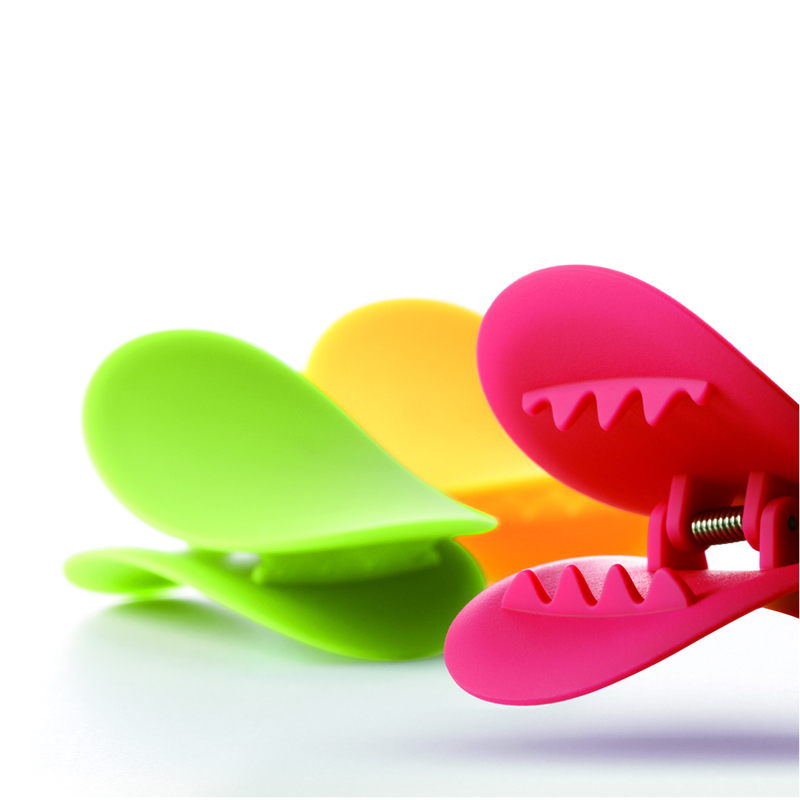 Clips 4 Chips have a rubberised coating and a very strong spring so they won’t slip off the pack. They work on other bags to seal them too. 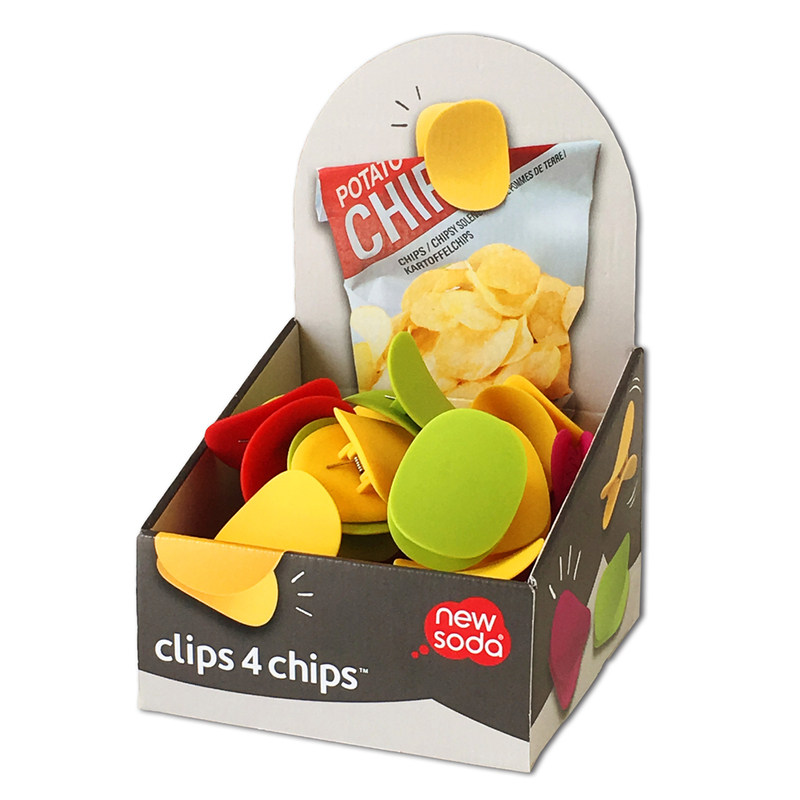 Clips shaped like chips – what’s not to like? !